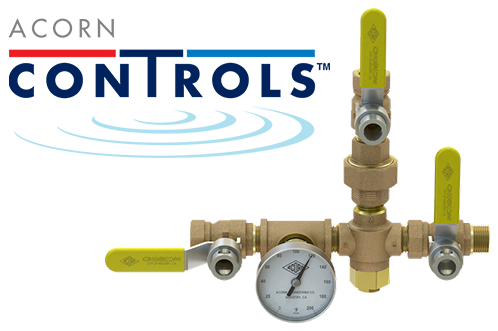 Acorn Controls is pleased to announce TempFlow®, our first thermostatic zone valve for commercial and industrial applications. TempFlow™ overcomes a problem that is common with the use of circuit setters for zone balancing systems. TempFlow® has a superior volume potential over other zone balancing systems because many thousands of circuit setters are currently installed and failing to properly maintain temperature in domestic hot water system zones. Facilities are spending too much for routine, yet short-lived zone balancing services. Circuit setters users will enthusiastically welcome an obviously superior solution. Most design engineers are unaware of the thermostatic alternative to the circuit setter for zone balancing. TempFlow™ has already been specified and welcomed by engineers who previewed the product firsthand! The challenge of effective zone balancing is so common that engineers are designing domestic hot water systems to eliminate or minimize the use of zones. As a result, they are giving up the energy efficiency and operation advantages that zone design provides.